Hello from my bedroom where I am feeling super sore from today’s cardio-intense workout and (guiltily) sipping some Fanta grape which I bought on a whim earlier this afternoon. I’ve just gotten back from dinner with my family and we’re all currently really excited about our family bowling tournament tomorrow morning! But first, let’s do a bit of catching up. One of my favourite things I did last week was have dinner with my friend Nadia. She’s one of the handful of people I’ve become friends with pretty much purely out of randomly following each other on social media for years. I mean, we have a few mutual friends but I don’t think that counts because that’s not how we started becoming friends? Anyway, I’ve really enjoyed getting to know her better these past couple of years since we both blog, we found out our dads used to play football (or was it futsal?) together and since we learned that we both have similar ambitions. Notice the “Closed” sign behind us. They handed us the bill and we were like “ok rude, we’re not done yet? ?” before we realised that it was 10pm. I think that last part was totally why it was so much fun chatting with her last Wednesday. It had been over a year since we last hung out so I loved catching up, hearing about what she was learning at work and what her future plans are. There is absolutely nothing I love more in a person—especially a female—than ambition combined with a vision and a sense of self and Nadia totally has that. I was so into the conversation that I didn’t even check my phone the whole time. Nadia even pointed out later than night after we got home that she loved how the subject of ~boys~ didn’t even come up until right at the end of the conversation for a short while, haha. Anyway, I’m very excited to see what she’s going to get up to next and Nadia, I know you’ll read this so I’m gonna say again that you have my faith & support! The next morning, my family and I went to KLCC to see my parents’ friends from university, a couple from London who were in KL to visit family. We went to Chinoz on the Park which reminded me of when I was like 9 and we went to KLCC relatively frequently because that seemed to be one of the only malls around at the time… but I digress. Breakfast was good and it was really nice to hear stories from my parents’ friends. I realised (not for the first time) that morning that when I was a child I used to just assume that everyone marries someone from their university because I know my parents and these particular friends of theirs met while they were all at Kent. How silly is that? Haha. I also thought about how I can’t wait to have catch-ups like those with some of my Penn friends and their kids someday. I’m starting to realise as I’m thinking through this post right now that most of my last week was spent catching up with people. I had brunch with my friend Sabrena, who was my classmate when we both were doing our A-Levels. We had both recently graduated and it was nice seeing how far we’ve come from our days at Sunway. She’s almost a fully certified dentist now! My sisters, mum and I also went to visit my mum’s friend/roommate when she went for hajj ~7 years ago. We had such a good time listening to her stories about hajj and her travels, etc. I feel like my mum has a few friends who’re just really good at storytelling… I’m always amazed at how they can make a relatively normal story become really funny and entertaining. Plus, she surprised us with a spread of some insanely good food!! We had roti puri, kuey teow and some carrot cake—basically, a bunch of my favs. The kari she served with the puri was just so good. I ate so much that I left wishing I wore pants that were more stretchable, haha. Over the weekend, my family and I went out for chinese food at Mohd Chan with the extended family on my mum’s side before my cousin Amirah headed back to Ohio State for her junior year. It was the first time I had crab in at least a year, and it was so good. I also didn’t realise that Mohd Chan would have an Inside Scoop next to it so when I saw my favourite ice cream shop there, it was a huge plus. I got the earl grey flavour, which was amazing. We saw Amirah off at the airport the next day and I know she was really sad but unlike me, she didn’t bawl at the departure gates. I, however, was already feeling like I was on the brink of tears because I knew the feeling of leaving-home-to-go-halfway-around-the-world-for-9-months too well. On Sunday night, my family and I went to A&W for the first time in ages. When we were younger, A&W trips were like the most exciting thing ever. Root beer floats and waffles with ice cream just seemed like the best treat there ever was. We used to do it a lot more frequently but now that our tastes have diversified a bit more, we go a lot less. But some of that childhood excitement lingers so I still get really excited every time we go. The best part of that trip was my dad re-discovering Siri. He had written it off because Siri was bad at recognising his speech but I told him that Siri is really good now and gave it another try. He literally said “Siri, I’m having some waffles now!” HAHA. Earlier this morning when I came down for breakfast, he said “Siri, Dayana is finally up” and this evening on the way to dinner, when I wanted to ask Siri a question, he told me to make sure I say hello to Siri first, lol. Then, on Monday morning, my dad, my sisters and I went to Batu Caves. It’s probably one of the most popular tourist destinations in KL, I would say. I know quite a few celebrities and American friends who have made it there before me. I think most recently, Ansel Elgort, that guy from The Fault in Our Stars was there and took a typical tourist picture with a monkey. Anyway, the thing about Batu Caves is that there are like 272 steps on the staircase up into the cave, which houses some hindu shrines. It was a good workout, to say the least. And I’m glad I now know what’s inside! It was a pretty fun visit. And of course, what is a morning activity in KL if it’s not followed up by a hearty breakfast? We went to Sri Paandi, one of my dad’s favourite restaurants, after going to Batu Caves for some good ol’ thosai and mango lassi. 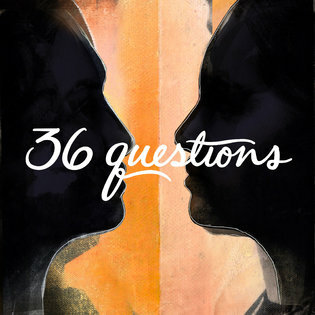 Lastly, some time last week I also listened to this 3-part podcast series called “36 Questions” by Two Up (you can read about it here). It’s a MUSICAL in podcast form starring Jonathan Groff and Jessie Shelton. It’s about this couple on the brink of divorce reconnecting using the 36 questions thing that was featured on The New York Times a couple of years ago. At first, it seemed a little contrived because the premise is that the girl in the relationship, Judith, faked her identity for 2 years and that’s why she and her husband Jase are splitting and Judith is desperately trying to save it, which sounds totally insane doesn’t it? It doesn’t help that she’s a little annoying. But I found that there were a lot of avenues for me to relate to it anyway because there is so much humanity in the story: we all learn things about people in our lives that make us think the oft-repeated phrase, “you’re not who I thought you were” (obviously, usually it’s not to the extent of a faked identity, but still), we all struggle with figuring out how to or whether to forgive people and we all struggle to move on sometimes. I also loved that the writers of this series used audio as a medium to make it accessible. Theatre tickets are expensive and hard to come by most times, but this is free and anyone anywhere can enjoy it the way it was intended to be. Plus, it helps that I’m a sucker for a good musical theatre soundtrack, which “36 Questions” does not disappoint on! (Don’t ask me how many times I’ve seen Hairspray or listened to the All Shook Up soundtrack) So if you’re into musicals and/or podcasts, definitely definitely definitely check this out! So yeah, it was another great week. I spent most of this week in Kuching, where my mum is from. My sisters and I ticked a lot of items off our craving list there and spent time with our cousins and grandparents. I’ll probably write about that sometime this weekend. Until then, thanks for reading!